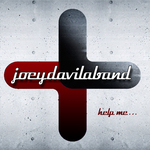 Sign up for Broadjam today to follow Joey Davila Band, and be notified when they upload new stuff or update their news! The thoughts of the thief who was hanging on the cross next to Jesus. This song is about leaving the past behind and living the life Christ has planned for me.